Daylight savings time has come and we can all agree that losing an hour of sleep is worth the extra hour of sunshine in the long run. What will you do with your extra hour? Now that is sun is still shining after work, you may be inspired to give your Outer Banks home or commercial property some TLC. 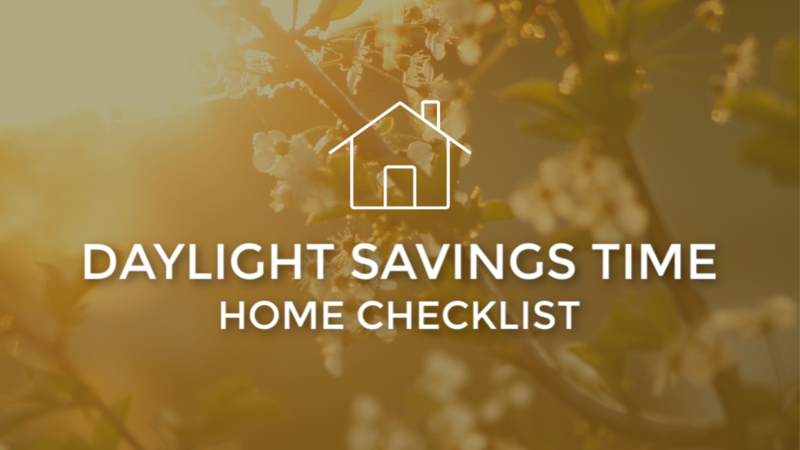 We’ve provided a list of home maintenance projects that take an hour or less to complete, making your spring cleaning and maintenance list easy to tackle. Spend 3 days a week knocking out these projects and your home will be in excellent shape for warmer weather - meaning you can be at the beach relaxing, instead of checking off your chore list. Take time to inspect your roof for missing shingles and damaged areas. Work on or schedule repairs before the busy summer season roles around. If you love fresh herbs and vegetables, begin planting your seeds now. If you need some home gardening tips, check out epicgardening.com. Tackle these projects now when the weather is still below 70 degrees, so you can enjoy your extra hour of sunshine this spring. If you need some inspiration, check out Maria Congo’s series on Netflix, Tidying Up. She can offer you some handy organization tips and will get you started and motivated. If you have your eyes on a new property or need help selling your home, contact us. We'd love to guide you through the process and answer all of your real estate questions.